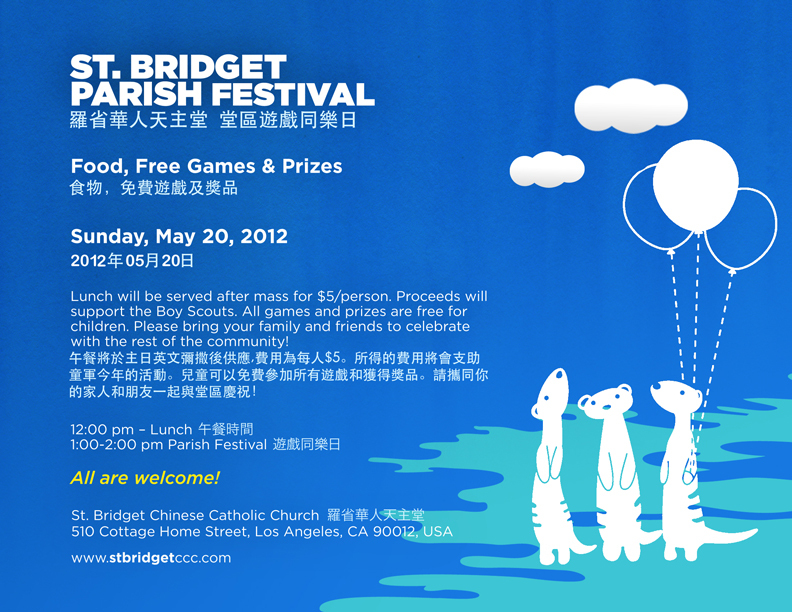 Lunch will be served after mass for $5/person. Proceeds will support the Boy Scouts. All games and prizes are free for children. Please bring your family and friends to celebrate with the rest of the community!